Master suggested that I try original research and, to that end, I chose the topic of the Apostolic Succession of the Papacy. The following is a graphic presentation of the Popes who are currently (as of 2012) numbered 206 to 242 with their Episcopal Succession, if applicable. A discussion follows the pictures. The form used for the following will be "year of birth-year of consecration -year of death". If there is no consecration it will be shown as "xxxx" for the year of consecration. Popes are listed in bold. I have included representations of the Popes. An inspiring apprentice to an apprentice would do well to comment on the evolution of the Papal depictions. Hint: less skill and knowledge of geometry are needed to paint in profile. Eugene 4, Nicholas 5, Sixtus 4 are examples of this anomaly. Non profile depictions become the standard commencing with Julius 2. The reason why the list ends with Innocent 12 is that the succeeding Popes (and over 90% of current Bishops) are from the Rebiba line, whereas the largest number of the above Popes are from the d'Estouteville line (17 out of 37 Popes). Perhaps the most interesting consecration was Innocent 11 (240) by Francesco Maria Macchiavelli in 1651. The following list of Popes were not consecrated as Bishops. Although these men were not Bishops, they are still considered rightful Popes by the Roman Church. Therefore, Apostolic Succession, as taught by the Roman Church, is not important as one might believe or their records would be more extant. One could infer that either the above Popes did not know of Episcopal consecration or they did not think it was important. We must remember that with the construction of the "new" Saint Peter's Basilica, all Papal tombs before 1505 are "lost". 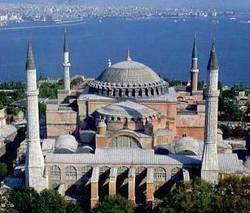 In 1453, Hagia Sophia was immediately converted into a mosque after the Ottoman conquest. Before 1481, a minaret was added to the southwest corner. and between 1481 and 1509, a minaret was added to the northeast corner. Hagia Sophia Minor (or Little) remained a church until it was converted into a mosque between 1506 and 1513. One could argue that "new" Saint Peter's was built because the Ottomans were building the largest mosque in the world and the Papacy created the world's largest church as a response to the construction, and not the conversion, of Hagia Sophia. 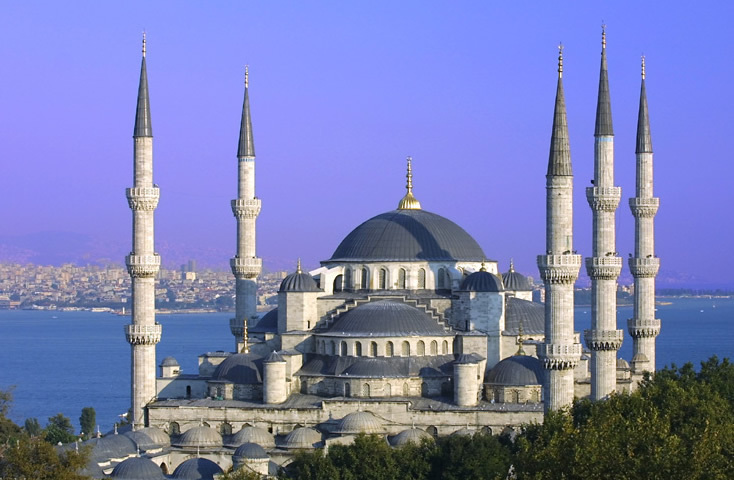 ​The Blue Mosque (left) was built between 1609 and 1616. Hagia Sophia (right) was allegedly built in 360. Clearly, Islam in the 17th century was not reluctant to borrow from Christian architecture. Based on the Episcopal lineage of the early Popes from d'Estouteville, one would be tempted to think that Apostolic succession was a product of the French church. Iraenaus (allegedly 115, 125,130 or 142 AD to 202 AD), Bishop of Lyon, was a hearer of Polycarp who, in turn, heard John the Evanglist. The following is a list of Ordinaries for Lyon, France with the dates of their Episcopacy. It is interesting that Lyon, the city of the "Father of Apostolic Succession", has an ordinary consistently appointed only since 1504. The Archbishop de Tarentaise is better known as Innocent 5 (1224?-xxxx-1276) and Archbishop de Boulogn consecrated Gregory 11 in 1371. 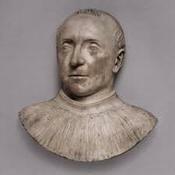 We can understand that there is no concept of traditional Episcopal succession or Apostolic succession in Lyon until the 16th century. 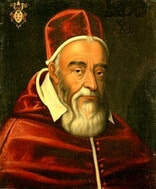 In the mid 16th century, the council of Trent defined Apostolic succession, but as late as the elections of Innocent 9 (230) in 1591 and of Leo 11 (232) in 1605, we find Popes who are not consecrated Bishops. Clearly, the "ancient" tradition of Apostolic Succession only dates from the 16th, if not the 17th century. Just as the Mormons say that they are Christians, so the Roman Church states there is a list of valid Popes and some of these are unconsecrated valid Popes. However, a Bishop must be consecrated and, therefore, two lists for the episcopacy for the church in Rome must exist-one list includes valid Popes and the other list includes the Bishops of Rome. A logical deduction is that an unconsecrated priest can not be a bishop, but he can be Pope. The oddity of this fact is that all consecrated Bishops of Rome are valid Popes, but not all valid Popes are consecrated Bishops of Rome. This paradox was noticed and the following valid Popes were consecrated after their election. Since the time of Gregory 16, all Cardinals must be Bishops and the problem of having the seat of the Bishop of Rome vacant no longer exists. In conclusion, although the starting point of the inquiry of the early episcopal succession arbitrarily begins with Martin 5 (reigned 1471-1432), until Pius 3 (reigned 1503) there was no ancient or lengthy Apostolic Succession tradition, unless one states that this tradition began with d'Estouteville who was not consecrated for the episcopacy and lived from 1403 to 1483. Apostolic succession commencing with Saint Peter is based on "tradition" only and this "traditional" dating cannot have existed before the 15th century based upon what we know about the behavior of the Bishops of Rome and the Papacy. This tradition can not be based on extant documentary evidence-unless one wants to state that Guillaume ("Billy" to his friends) d'Estouteville was one of the twelve Apostles. 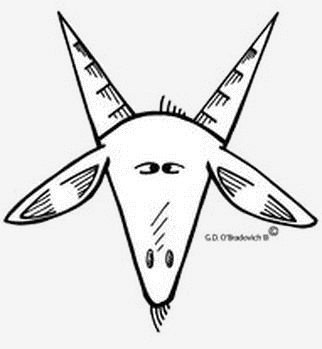 At this time, I am only an apprentice and I am not prepared to imply that d'Estouteville was a Bishop of the early Christian Church.